With Facebook usage via multiple devices becoming the norm, rather than the exception, the social network commissioned a study by international market research agency GfK to learn more about how users are interacting via desktops/laptops, smartphones, and tablets. More than 60 percent of U.S. online adults use at least two devices every day, and nearly one-quarter use three. More than 40 percent sometimes start an activity on one device and finish it on another. 76 percent of smartphone owners use their devices while they are out and about. 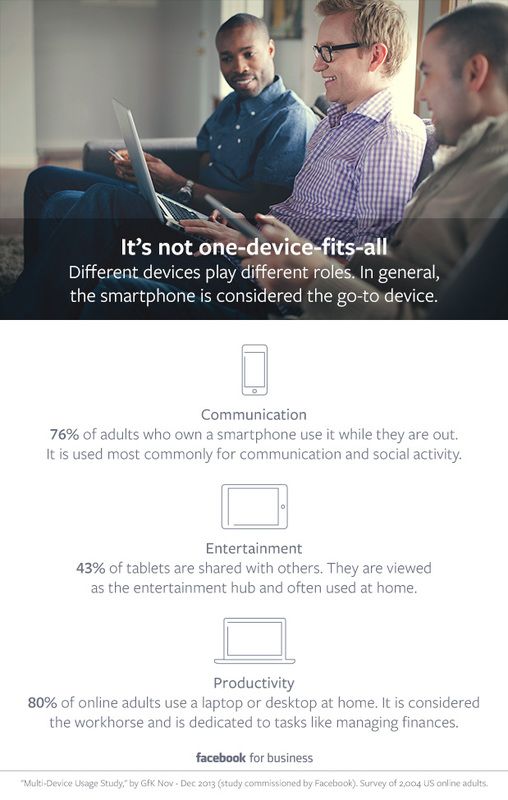 Tablets are used more often at home, and 43 percent of those devices are shared with others. 80 percent of online adults who own desktop or laptop computers use them at home for tasks such as work and managing finances. 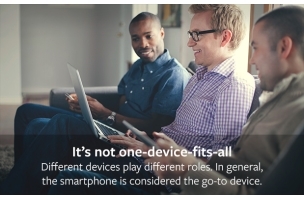 53 percent of respondents who own two devices switch between them to complete tasks or activities, and that number rises to 77 percent for respondents with three devices. 22 percent of device switches ended with tablets, and 58 percent with laptops, indicating that users were seeking larger screens or easier typing. Facebook and email were the most common activities to take place across devices. More than twice as many respondents use their smartphones at work than their personal laptops. People are eight times more likely to use smartphones on public transportation than laptops, and twice as likely to opt for smartphones over tablets. Not surprisingly, with people constantly moving between devices, it is important for marketers to reach their audience across all platforms. 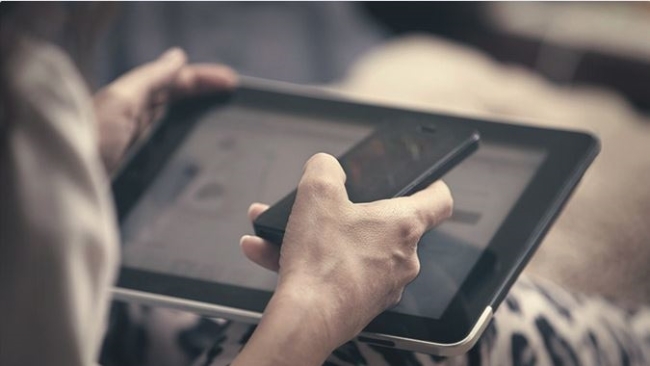 Brand experiences should be consistent, allowing for people to begin an activity on one device and finish on another. Facebook can help provide a constant thread by device and by context. Because people use their real identity on Facebook, it’s easier to reach, report, and measure across devices, creating consistency in a complicated world. Create consistency across platforms: Facebook enables brands to build creative and consistent experiences that resonate with consumers across devices. Reach audiences across platforms: As people move across devices seamlessly, it’s more important than ever to reach them where they are. 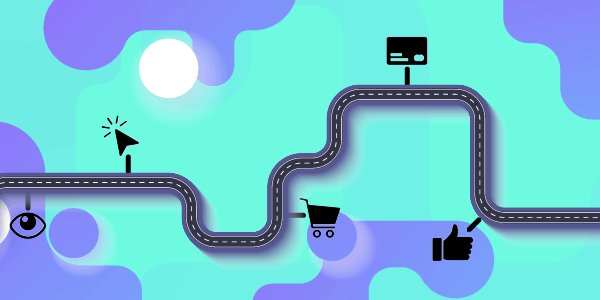 Facebook can help provide a constant thread, delivering personalization at reach. Targeting, reporting, and measurement: We live in a multidevice world, making it vital for brands to understand the impact of their marketing strategies in order to optimize, evaluate, and measure. Because people use their real identity on Facebook, we give brands the ability to reach, report, and measure across devices. Readers: What did you think of the findings by Facebook and GfK?